Example of a QR code. QR codes have become common in consumer advertising. 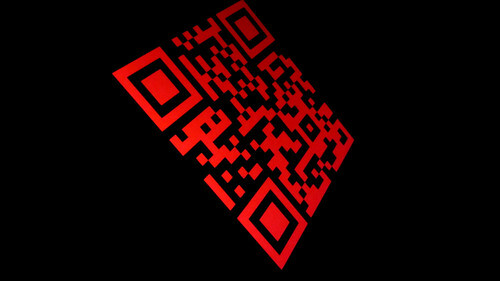 A smartphone can be used as a QR code scanner, displaying the code and converting it to some useful form like a website.